Learn how to make dal makhani curry form scratch with the step by step photo instructions in the printable recipe below and watch the video for more visual details, so that you can impress your family and friends with your newly found cooking skills! Dal Makhani simply means dal = lentil and makhan= butter and it’s a creamy north Indian dish, which originated in the state of Punjab and has been enjoyed through India and all over the world. When you go to an Indian restaurant in Europe or the American continent, you will see somewhere in the menu dal makhani among other dishes such as saag paneer (green leaf curry with Indian cottage cheese), Butter Chicken – Murgh Makhani, Tandoori and Tikka Chicken. Generally speaking, north Indian dishes seem to be more popular in the western world and I think it has something to do with the cream based Moghul and Punjabi style of food. I personally love this type of food and you must have noticed that by now. In central Europe, the weather is rather cold so our diet is based on heavier milk and meat dishes. The north Indian food with its velvety texture and aromatic spices has been my extension of food know-how and to be honest, my ultimate addiction. So, a dish like this Dal Makhani is of course, in its own right, a complete success in the western world. Dal Makhani is healthy and rich in proteins which of course makes for a welcome change from our deeply rooted meat culture. After all, we need proteins! What lentils to prepare Dal Makhani? 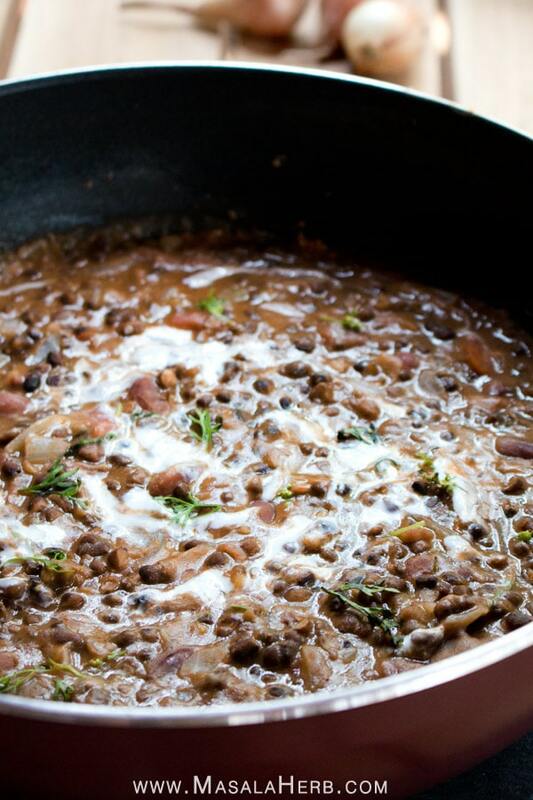 We will use whole urad dal lentils for this gorgeous rich lentil curry and kidney beans, and they make a great team. 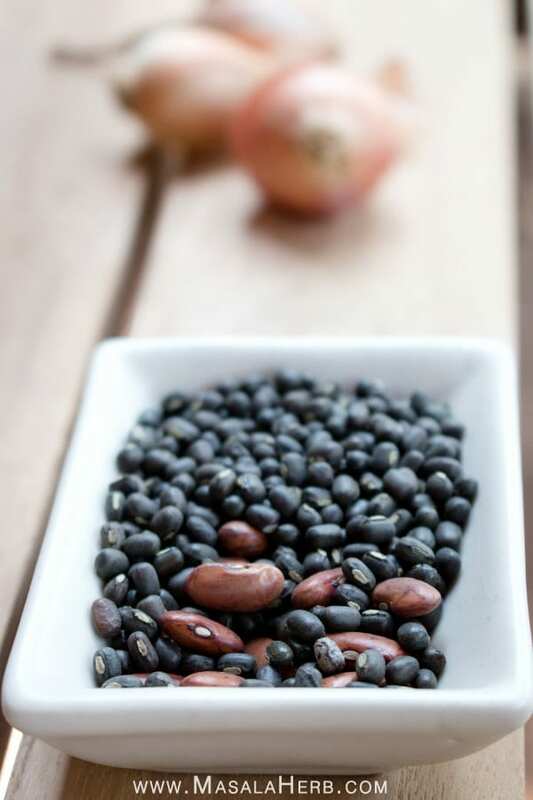 Urad dal is also know as black lentils, black grams, mungo beans (don’t confuse with mung beans!) and vigna mungo. 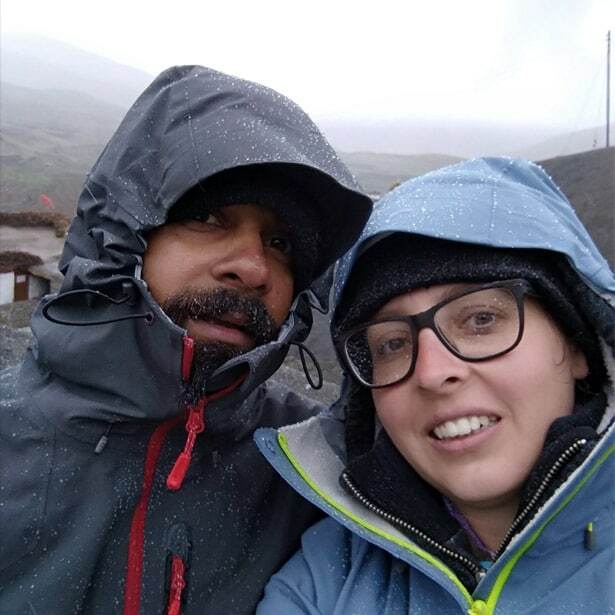 When you go to buy this lentil type, refer to this picture to make it easier for you because different places might have different names for this lentil variation. Urad lentil/black lentil look like Mung beans, which are green, but both have the same distinct shape. Black lentils are simply… well black, as you can see. I use whole black lentils in this dal makhani recipe, you can use split urad dal/black lentil too. The soaking time might be less, however I think the curry looks better with the whole lentils. 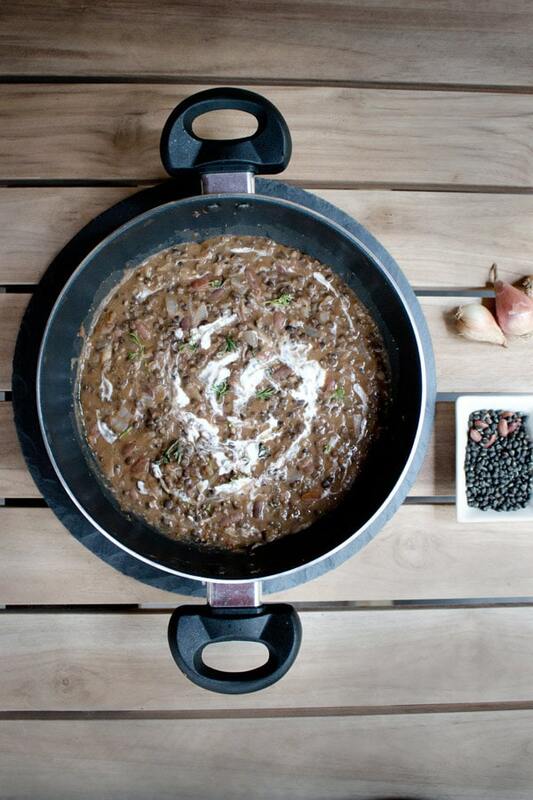 The dal makhani recipe will take you about 15 minutes to prepare. What you need to do first is to soak the urad dal lentils and kidney beans together for at least 7 hours or simply overnight in water so that the beans get soft. After soaking, I cook the beans in the pressure cooker for about 10-15 minutes with 4 whistles. The pressure cooker saves you time and energy (gas/electricity) but you can cook it too the regular way, which might take around 1-2 hours. Once cooked you can just add the beans while cooking as described in the recipe instructions. 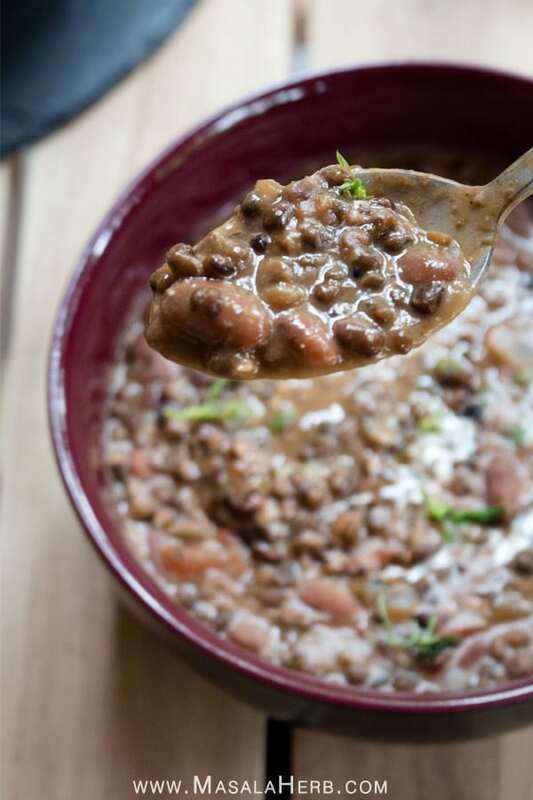 Make this Dal makhani with whole urad dal/mungo beans/black lentils or with split black lentil. The split lentil might require less soaking and cooking time. Keep the lentil and beans to soak over night or for 7 hours first and then cook until soft. I like to use the pressure cooker and cook them for 10-15 minutes or 4 whistles. Keep the lentil and beans to soak over night or for 7 hours so that they get soft and then cook them soft. don't use salt to the lentil and beans cooking because they tend to take longer to cook otherwise. I like to use the pressure cooker for 10-15 minutes, 4 whistles. In a pan add the clarified butter, and add in the bay leaf and slit green chili halves. Stir fry for a minute so that the aroma comes out. Then add the Onion slices and fry till they turn a bit yellow in color. Now add in the ginger garlic paste and stir fry. Continue to season with the cumin powder, coriander powder, chili powder and garam masala powder. Stir fry. Then add in the diced tomato and stir fry again.Continue with the cooked beans and the veg stock. Mix a bit and add the tomato paste, which will help in thickening the dal makhani. Stir well and cover, let it cook for about 15 minutes and make sure to stir occasionally because beans have a habit to stick on the ground of the pot and you don't want them to burn. Once the dal makhani is cooked and just before serving add 1-2 tablespoons of fresh cream and garnish with fresh coriander/cilantro. Serve hot with nan, roti, chapati flat bread or rice. Dear Reader, do you enjoy Indian lentil dishes? I love anything lentils and beans. This looks so comforting and tasty. I ordered something similar from a takeaway the other day. I am going to have to try making it myself. I love Dal so you know that I’m going to try your recipe! This looks delicious! Lentils are one of my go-to foods, so I love finding new ideas! Yum! I have a soft spot for all of those comforting creamy northern Indian dishes! This one looks amazing! I love dal makhani and have a great recipe that I always use. Yours looks great too, would love to give it a try! I love dal makhani. In fact we made some last week and the kids kept asking for more. I love when it turns out nice and creamy like yours. What a great video showing to how to make this wonderful dish, I love experimenting with Indian cooking. All those wonderful spices are amazing. I love using lentils because they’re full of vitamins and protein – and they cook up quickly. I’m also fascinated with Indian foods and this curry seems like one this Western …. (Ohio) …. girl can use to dip her toes into the Indian cuisine. This dish sounds really yummy and like something I would love. I’ve really been trying to experiment with more Indian dishes so this sounds like a good one. This sounds like the perfect comfort food. Anything with beans and lentils is a good foundation for a terrific meal. Your dal makhani looks perfect and creamy just like restaurant I can eat them with chapathi or poori. I love Dal Makhani but have never made my own! It used to be one of my go-to comfort foods when I was in college many, many years ago. This looks so good! Thank you for the easy tutorial and video. Dal Makhani is one of my favprite dal and just love the flavor of the whole Urad. Love how creamy your dal makhani has turned out and I am tempted to make some soon. A friend from India just came last week for a visit and brought me some lovely spices from there. 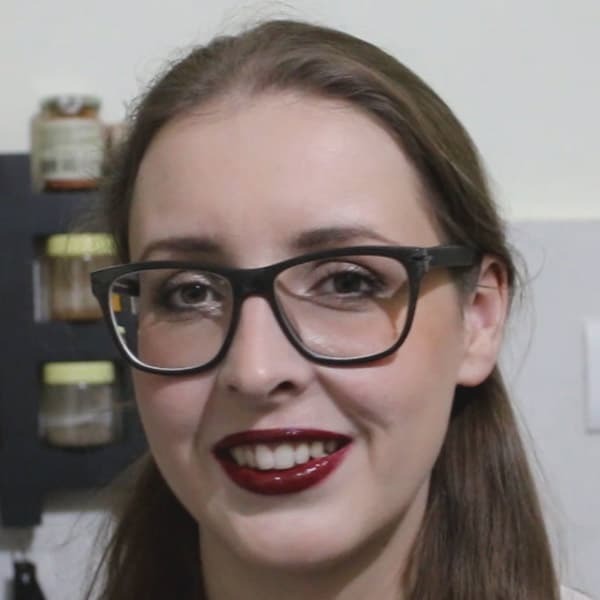 Now, I have this yummy recipe of yours to try those spices! Love me a good dal! I don’t get to cook with lentils as often as I would like to, but this dish sounds wonderfully tasty and easy to make. I love the instructions and the video, I can’t think of a better comfort food. Excellent! Helene, this looks so comforting! I watched the video twice. LOL. I’m going to pin this one for later; I’ve got to try it! This looks so amazing! I have been wanting to try making dal before and have some lentils but I’m always waiting for them to soak. I love the idea of putting them in the pressure cooker and getting them ready. Is it wrong that I want to add this on top of some basmati rice? You had me at “dal” – I love it and rarely make it myself anymore. Must change that, this recipe looks to-die-for! I really love how easy is to make this lentil dish. And it’s super healthy too, full of wonderful Indian flavours. I just have to put this on my to-try list. Sounds like a great weekday family dinner. Delicious! Lentils are one of my favourite pulses so this curry is definitely one I would love. For me, it’s the combination of spices and textures. Red lentils are my favourite but I have the black lentils on hand too, they don’t break down as readily as the red ones. Often, I use creamed red lentils as a thickener instead of flour. I tried your recipe, it is so yummy. Definitely putting it in my favourites list. So creamy and packed with flavour. Hi, this may be interesting you: Dal Makhani Recipe - How to make Dal Makhani Curry + Video - Spiced Indian Butter Urad Dal Black Lentil Gravy!